O Rei Vai Vestido: Krushev - De quem é a Crimeia? Filho do antigo Presidente da União Soviética, Nikita Krushev, Sergei Krushev escreveu este artigo para a Al Jazeera no mês passado mostrando um pouco mais do que é a posição russa na questão da Crimeia. Convido-vos a ler este artigo bem escrito e historicamente muito completo da história da Crimeia, originalmente publicado em duas partes e que aqui copio na sua versão integral. As a result, the referendum was conducted without major problems; 83 percent of the population cast their vote and 96.7 percent of them - Russians, Ukrainians and even some Tatars - voted for secession from Ukraine and annexation to Russia. The vote was observed by135 representatives of 23 countries and 240 observers represented the Crimean civic society and political parties. Crimean's main goal was to break up the illusionary connections with Ukraine. 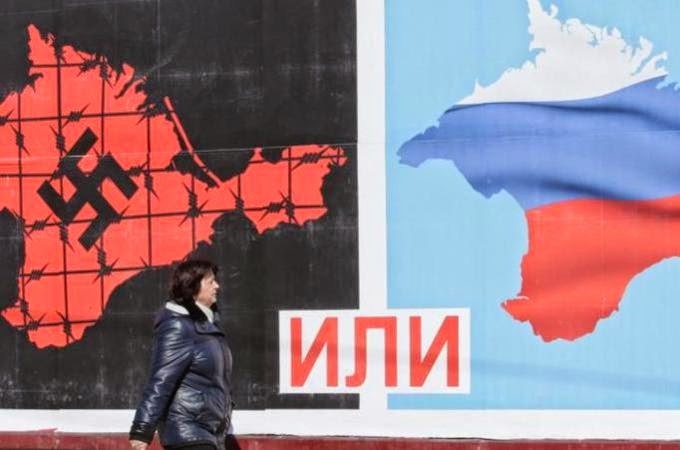 Crimea's divorce from Ukraine was bumpy: In the last 20 years, there were constant tensions and it ended with a scandal, which gradually involved a number of countries. Some took Ukraine's side, others did not. Who is right, and who is not, it is difficult to say. However, as a result of this scandal, Crimea and Ukraine have become household conversation and yet few people know what the matter was really about. That is why, I will begin with history. Crimea is a peninsula on the north coast of the Black Sea, connected to the European continent through a narrow strip of land. Some 2,500 years ago, the ancient Greeks founded a colony there, including in the western part of the peninsula, where they built the port Chersonesus, which is the present location of Sevastopol. Remember this name, we will get back to it later. Then the Romans took over from the Greeks and after them the peninsula was uninhabited for some time. In the meantime, in 854 the Vikings set up an outpost on the river banks of Dnepr, which crosses the European continent from North to South. They thought it would be easier to use the river to get to the riches of Byzantium than to go around Europe in the stormy seas. They gradually subordinated the local tribes and this is how the ancient kingdom of Kievan Rus was born. It gradually expanded its rule and reached Crimea. However, everything collapsed overnight in 1240, when the Mongols captured Kiev and turned it into ruins for many decades. These lands on the banks of the Dnepr river were orphaned, while the Genovese settled in Crimea. After a century, the newly rebuilt Kiev came under the rule of the rising power of the Polish-Lithuanian Commonwealth. This continued until the 15th century. During this time, in the North-East, the state of Moscow emerged which incorporated the leftovers of the Mongol Empire. In Crimea, Tatars invaded in 1428 displacing the Genovese and settled there permanently. But who are the Tatars? This is one of the inheritances of the Mongol expansion. Genghis Khan preferred not to risk his own Mongol soldiers and therefore, on the front lines, he would put men from the conquered peoples. One of the first people he conquered were the Tatars. Since then, he dragged them into battle around the world. After the break-up of the empire, some Tatars returned to their homeland, while others stayed where they found themselves: On the Volga river - The Astrakhans and Kazan Tatars; and in Crimea - the Crimean Tatars. The Crimean Tatars were closely cooperating with the Ottoman Empire and fought Russia and Poland, which at that time were controlling the territory of today's Ukraine. In the meantime, fugitive Russian and Polish serfs settled on the island of Hortitsa in the river Dnepr, and started calling themselves Cossacks. They provided for themselves through plundering, attacking at times the Tatars, at times the Poles. Gradually their power increased and the Cossacks became a serious organised force, always in conflict with Poland. In the second quarter of the 17th century, the Cossacks, under the leadership of Bogdan Khmelnytsky, once again attacked Poland. Towards the end of the campaign, they suffered a defeat. Khmelnytsky found a way out of the dead-end: In 1654, he signed a treaty with the Russian tsar putting East Ukraine under the protection of Moscow. The Western part of Ukraine was left to the Poles which then came under Austria-Hungary and then again to the Poles. As a result, the Ukrainian people were split between two branches: Eastern and Western. Independently from Russia, but not from the Ottoman Empire, the Crimean khanate existed until 1783, when it was conquered by the army of Russian Empress Catharine II, who set up a port at the old location of Chersonesus to host the Russian Black Sea fleet. The new port was called Sevastopol. Since that time, Ukraine and Crimea were part of the unified Russian Empire. Crimea, with its warm climate and pebble beaches, was a favourite holiday-destination for all Russians, whether Tsars, aristocrats, and even simple people, if they had the means. It continued this way until World War I or rather 1917 specifically, when the revolution was destroying the old regime and taking down its laws. And when everything was possible. The periphery took advantage of that, including Ukraine, which declared independence. On the map of Europe, there were in fact two Ukraines: An Eastern one with capital Kiev and a western one - on the territory reclaimed from Austria-Hungary during the war. But already in March 1918 all changed. The Bolsheviks signed a peace treaty with Germany, through which Ukraine was conceded. It is impossible to occupy a territory, which doesn't have borders. The German generals drew in their own understanding the borders of Ukraine, including Crimea. They ushered in their army, killed Ukrainian independence in its cradle and were preparing to settle for a long time. However, in November 1918 Germany suffered a defeat from the Entente and its army was forced to leave Ukraine. Ukraine then became a Soviet Republic and it took part in the founding of the Soviet Union, but without Crimea, which joined the Russian Federation. After World War II, Ukraine acquired the Western lands and it acquired its present borders. On the river Dnepr, the construction of hydroelectric plants began, one after the other. In 1950, the works reached the lower part of the river. It was decided that the last cascade of the Kakhovka Hydropower Plant will be used not so much for electricity, but for irrigation of the dry lands of Southern Ukraine and Crimea. At the end of 1953, when the five-year plan for 1955-1960 was being prepared, two irrigation canals included: South-Ukrainian and North-Crimean. Since the canal passes mostly through Ukrainian territory, then the rest of it should, along with the whole of Crimea, pass from the supervision of Moscow to that of Kiev. In February 1954, it was 300 years since Ukraine joined Russia. It was said - it was done. The Higher Council of the Russian Federation decided to pass Crimea over to Ukraine. In this way, Crimea came under the jurisdiction of Kiev, but just formally. In fact, it remained part of the Soviet Union and was our common holiday destination. The end of the Soviet Union? And now how did it end? By the end of 1991 in the Soviet Union there was a revolutionary atmosphere. The Soviet republics, including Ukraine, started talking about independence. They weren't just talking about it, in fact they decided to act, even if it were against the constitution. Three presidents got together in the Bialowieza Forest: Boris Yeltsin (Russia), Leonid Kravchuk (Ukraine) and Stanislav Shushkevich (Belarus). They agreed on the fact that the then president of the Soviet Union, Michail Gorbachev was wearing them down and they needed to get rid of him and the Soviet Union. Before the signing of the document, they decided to get lunch. But as Leonid Kravchuk said in an interview, one thought worried him: What to do with Crimea? Formally, it was part of Ukraine, but in reality? He turned with this question to Yeltsin, but at that moment he was not in the mood to deal with this matter. He couldn't wait to get Gorbachev out of the Kremlin. He was sitting down and rushing through his drinks and there was Kravchuk still pestering about Crimea. Yeltsin waved him off to go away. Kravchuk calmed down and took off with Crimea, which became an autonomous zone within the borders of independent Ukraine. The peninsula, however, never completely entered Ukraine and it felt as an outcast in the new state. It could have continued like this forever, but then the "Maidan" revolution happened. At the end of 2013, Western Ukrainians, dissatisfied with President Viktor Yanukovych, gathered at Kiev's Maidan and overthrew the hated authority of the Eastern Ukrainians. The president escaped, while they bypassed the constitution and established their power. Crimea took advantage of these circumstances, because since such unconstitutional takeover could happen in Kiev, why not have it happen in Crimea too? Thus they announced a referendum for secession from Ukraine. According to the constitution, it is illegal, but according to the constitution, the current government in Kiev is also unconstitutional. In reality, however, everyone accepted it, even the US president. 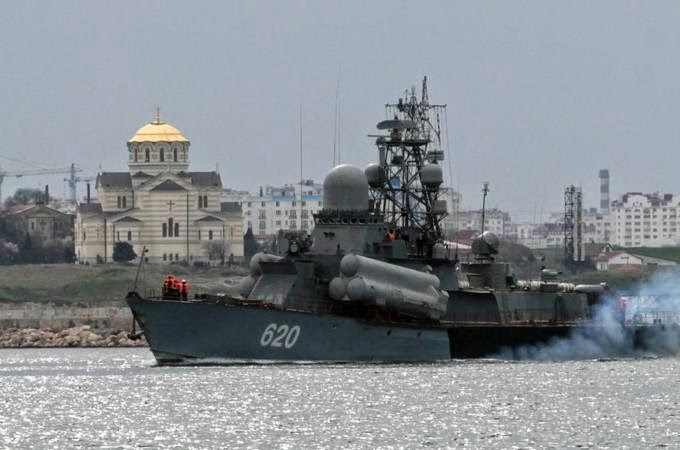 So what makes the Crimeans worse than them? The Crimean referendum, too, in reality won't have less power/strengthen than the government in Kiev.